Pollution is ubiquitous in Greek tragedy: matricidal Orestes seeks purification at Apollo's shrine in Delphi; carrion from Polyneices' unburied corpse fills the altars of Thebes; delirious Phaedra suffers from a 'pollution of the mind'. This book undertakes the first detailed analysis of the important role which pollution and its counterparts - purity and purification - play in tragedy. 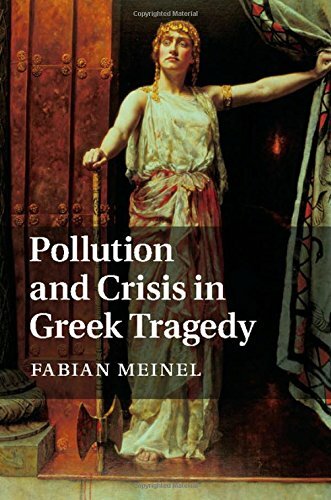 It argues that pollution is central in the negotiation of tragic crises, fulfilling a diverse array of functions by virtue of its qualities and associations, from making sense of adversity to configuring civic identity in the encounter of self and other. While primarily a literary study providing close readings of several key plays, the book also provides important new perspectives on pollution. It will appeal to a broad range of scholars and students not only in classics and literary studies, but also in the study of religions and anthropology. Pollution is a striking and ubiquitous feature of Greek tragedy. This book undertakes the first detailed analysis of its important role in the plays and will appeal to scholars and students of Greek tragedy at all levels and anyone interested in the concept of ritual pollution.